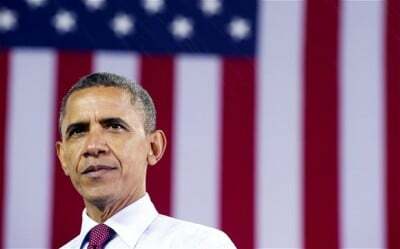 New York, New York: A year into his presidency, Barack Obama began to plan his reelection bid. Having assessed the lessons of 2008, it was clear that grass roots mobilizations would be essential to assuring a turnout the next time around. I made a film, on that political campaign, , exploring how local organizers built networks based in part on their candidates’ community organizing experience. While most of the media framed the issue as Obama versus McCain, I was more interested in how he planned to win, than regurgitating the campaign’s rituals and rhetoric. From the beginning, the Obamanauts backed the idea of the “ground game” as essential to victory but it was soon enhanced with the latest new media applications—including blogs, facebooking, texting and tweeting. The field director of that 2008 campaign David Plouffe became the campaign’s organizer in chief in 2012. He ran that ground game, the Democrat’s antidote to the TV commercial-driven “air war” blitz engineered by Karl Rove and his large list of wealthy right-wing benefactors. At first, Plouffe was the organizer picked by the candidate who had been an organizer to create a permanent campaign of organizers built on the model he engineered. He was soon spending more time with his Wall Street supporters and national security team than progressives. His then chief of staff, Rahm Emanuel, now the Mayor of Chicago, showed outspoken contempt for cause-oriented supporters. Activists in the black community like Jesse Jackson were frozen out. Obama backers spin this idea much more positively arguing their man, will try to strike a “grand bargain” deal before December 31 or risk a worsening recession in the first half of 2013. The day after the election, the Congressional newspaper, the Hill, indicated there is no appetite for any compromise in the Republican-led but Tea Party dominated House of Representatives. It was only more military spending and some seasonal part time work that recently lowered the unemployment rate, but GOP hostility to any and all stimulus programs insures that the government cannot prime the pump. . That fuels the expectation that the prospects for real change are stuck and/or sinking. So, welcome to term 2 Mr. President, where you will be expected to be more of a magician than a mechanic. What rabbits can you pull out of your hat? News Dissector Danny Schechter blogs at newsdissector.net His latest books are Blogothon and Occupy: Dissecting Occupy Wall Street (Cosimo Books). He hosts a show on ProgressiveRadioNetwork. (PRN.fm). Comments to [email protected].